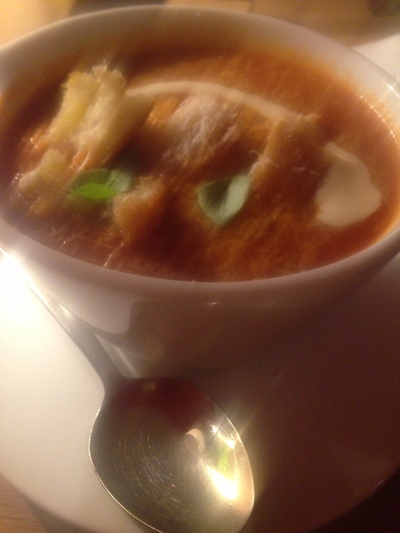 Hearty tomato soup in the city, and enjoying on a Friday night. Winter is definitely a soup season. Irrespective as to whether or not the common cold and/or flu is lurking on your domain, Sydney siders are starting to tuck into some soup. It is even on special at some Italian restaurants. Where is the best soup in Sydney? Sorry about the blurry image guys. Had the flu (and still have it) when taken after a long day in the office. Tomato sauce (only $6.90 and on special) at Vapiano in the city is lovely. It does get cold a bit quickly. Pace yourself but don't take too long in eating. Love the fresh herbs, parmesan cheese and cream on top. Delish! Crouton's soup bar seems to be a great place to have soup. They have a great variety of soups. Try Croutons Soup Bar in Wynyard. People say this is the best. What is the best way to see Sydney Harbour?